French President, Emmanuel Macron, will on Tuesday visit the New Afrika Shrine founded by Femi Kuti, son of Nigerian music legend, Fela Kuti – making him the first president to enter the venue. The New Afrika Shrine located at Ikeja Lagos was built after the original Shrine by the musical maverick, Fela was burnt down in 1977. 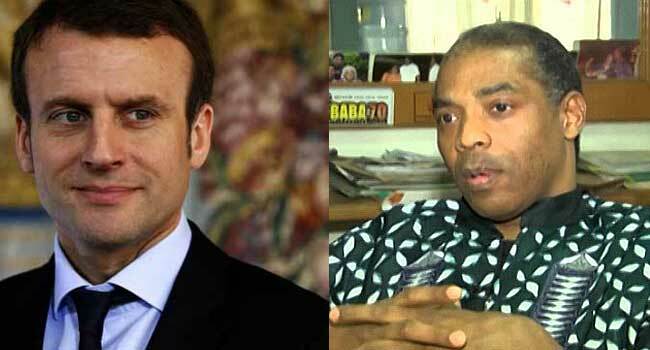 Macron, who is currently visiting the Mauritanian capital Nouakchott to attend an African Union summit on Sunday, will go on to Abuja (Nigeria’s capital) for talks with his counterpart, President Muhammadu Buhari on security and terrorism, before coming to Lagos. Fela Kuti came from a patrician family whose pioneering music and quest for social justice made him an international star and the bugbear of Nigeria’s former military rulers. Called the “black president” by adoring fans, Fela Kuti’s trademark style, christened Afrobeat, featured songs in the native Yoruba Language as well as pidgin and were searing indictments of corruption and incompetence. Meanwhile, the Lagos State Government on Sunday announced that there would be traffic diversion and restricted movement from 12 noon to 12 midnight on Tuesday around the Alausa, African Shrine/Agidingbi axis.